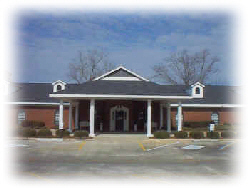 Jeffcoat-Trant Funeral Home located in a peaceful serene setting. Convenient to I-85 with plenty of parking. 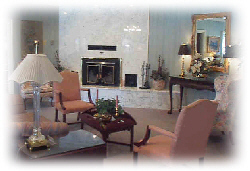 When you enter Jeffcoat-Trant Funeral Home, you are greeted with warm beautiful colors and a relaxing atmosphere. Our state of-the-art facility was created with comfort in mind. We have maintained the same comfort and colors in our viewing rooms. 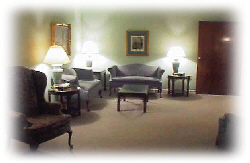 Our visitation rooms can be customized to fit your needs. 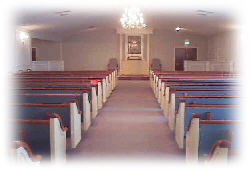 Jeffcoat-Trant offers a chapel for meditation and for funeral services. Jeffcoat-Trant offers a wide selection of music from which to choose. When you enter the selection room you are greeted with warm soft colors and a warm environment. Jeffcoat-Trant offers a wide selection of caskets and bronze urns. The staff of Jeffcoat-Trant Funeral Home will help you select the casket that fits your families needs. Another view of the selection room with caskets in different price ranges. Jeffcoat-Trant can answer all your questions during your time of bereavement. Jeffcoat-Trant also has granite tombstones.